Director: Miguel Arteta. 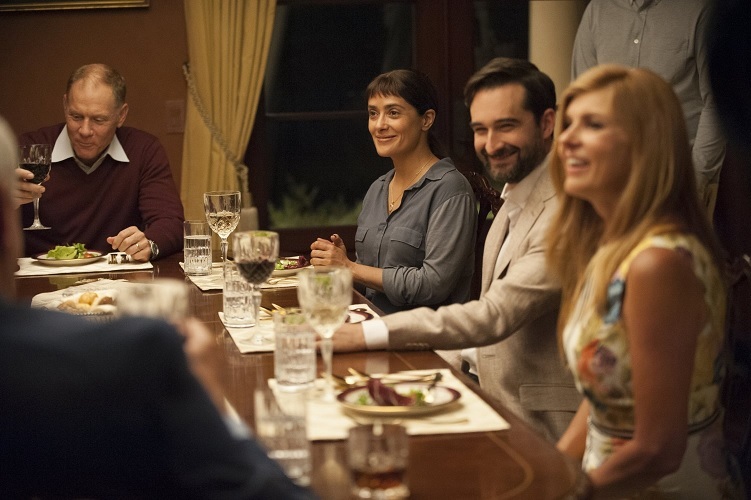 Cast: Salma Hayek, Connie Britton, John Lithgow, David Warshofsky, Amy Landecker, Jay Duplass, Chloë Sevigny, John Early, Soledad St. Hilaire, Enrique Castillo. Screenplay: Mike White. Twitter Capsule: Loved the creative channeling of fury at the earth's murderers but also the refusal to make Beatriz easy for us. VOR: ④ Captures messy tensions between (and within) smug barons and self-righteous dissidents without drawing false equivalences. Singular tone.